Writing can be a lonely process. And yet we’re not writing just for ourselves–we’re writing to connect. 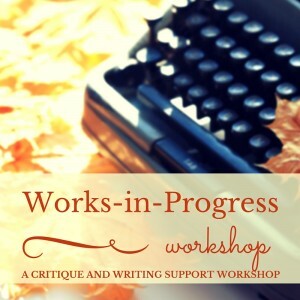 This workshop is a place to forge those connections and to find readers, inspiration, and motivation. It is for anyone seeking feedback, to learn to see their work with fresh eyes, and an encouraging writing community. This critique and writing support workshop is open to all writers of any level, writing in any genre: fiction (short stories, novels, scenes), memoir, creative nonfiction, essays, poetry, or screenplays. No matter what stage of the drafting process you’re in, you’ll benefit from a writing community and feedback. When we view our writing through someone else’s eyes, it takes on new meaning and dimension. A group workshop provides the chance to challenge ourselves to make sure we are communicating our intentions clearly, to brainstorm new ideas, and to learn from each other’s writing. In this group, you’ll also learn to provide constructive feedback. Receive feedback on the level of your choosing. Gain new craft tools to make your work shine. Fall back in love with your work if you’re feeling defeated or tired. Build community and find camaraderie with writers going through the same struggles. Get your craft questions answered. Learn the language to provide other writers with appropriate and constructive feedback. Each meeting, you’ll bring in 800 words from a work-in-progress. You’ll hand out copies and read your work aloud. Then your fellow writers will read silently and offer feedback. We’ll discuss what is working and what can be improved. The feedback will help you dive deeper into character, hone dialogue and subtext, investigate theme, and focus plot. Come to any or all sessions, every other Sunday. Carmiel Banasky is the author of the novel, The Suicide of Claire Bishop (Dzanc, 2015), which Publishers Weekly called “an intellectual tour de force and a moving reflection on the ways we try to save ourselves and others,” in a starred review. 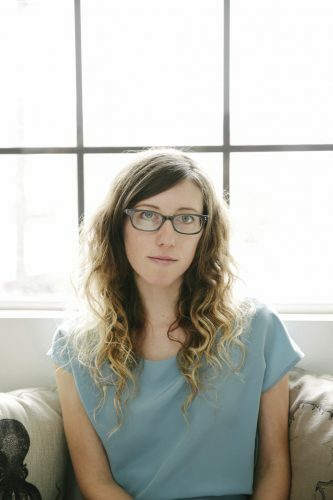 Her work has appeared in Glimmer Train, American Short Fiction, Slice, Guernica, PEN America, The Rumpus, Prairie Schooner, and NPR, among other places. She earned her MFA from Hunter College, where she taught Undergraduate Creative Writing. She is the recipient of awards and fellowships from Bread Loaf, Ucross, Ragdale, Artist Trust, I-Park, VCCA, and other foundations. She is represented by Donadio & Olson. Carmiel has helped edit award-winning books including Phil Klay’s Redeployment (winner of the National Book Award) and Scott Cheshire’s High as the Horses’ Bridles. After four years on the road at writing residencies, she now resides in Los Angeles and teaches at LA Writers Group and UCLA Extension. She is from Portland, Or.